Concealed within the deepest unilluminated corner of the labyrinth that is the castle cellar awaits an inconspicuously rustic oak barrel; the contents of which are more than noteworthy – flavors benefiting none inferior to the King’s distinguished palate. The process of aging potable substances is a classic art form. Though the alchemy of natural maturation in controlled environments and temperatures, every discernibly brassy element dissipates as only the richest and potent chords of flavor are felt behind to fuse and synthesize into one smooth, rich taste. Formulated with caring hands from the every finest of ingredients, the application of this concept to our e-liquid seemed only natural and it yelled results. 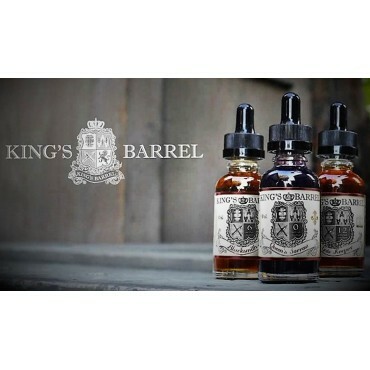 Steeped to perfection, the flavors of King’s Barrel is sure to gratify those most fastidious of vapers, and perhaps even attract those around merely to enjoy the aroma. 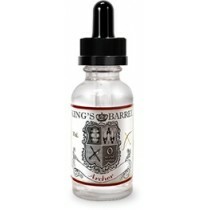 All of our products come in a glass bottle with glass dropper and protective seal.